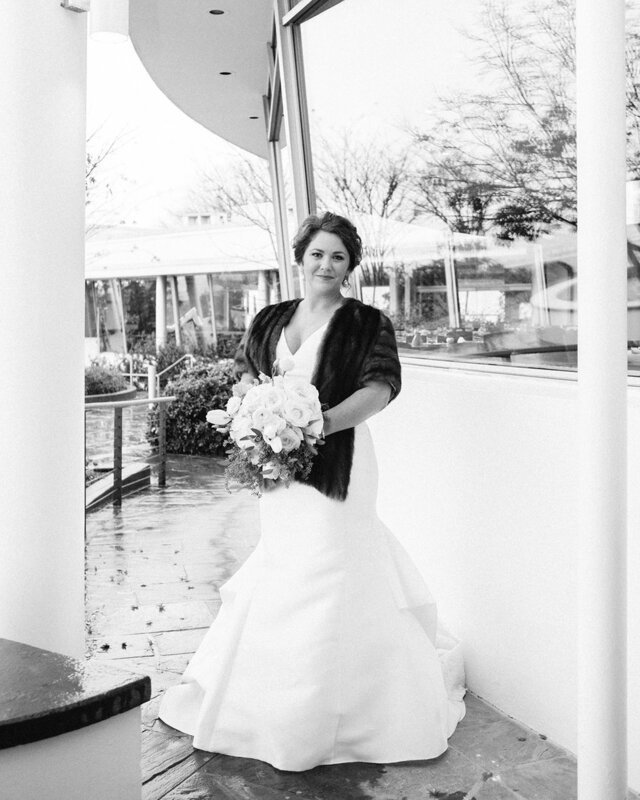 Lauren and Matt had the worst weather in the history of wedding weather! Imagine gale force winds and flooding and cold temperatures. Of course we had a great rain plan in place and adapted as we always do, and it was a seamless and beautiful wedding day! 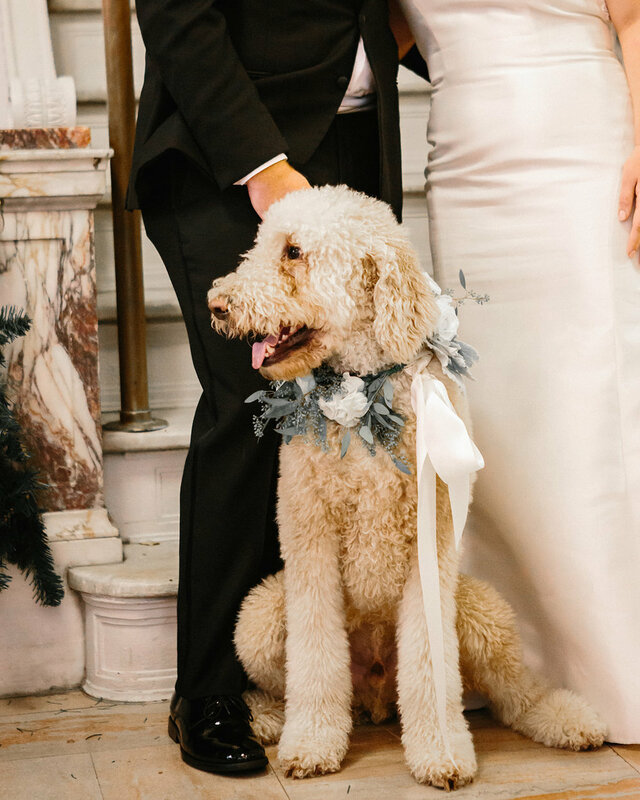 Lauren looked so gorgeous in her dress from Something Blue, and her sweet puppy made an appearance that was one for the books. 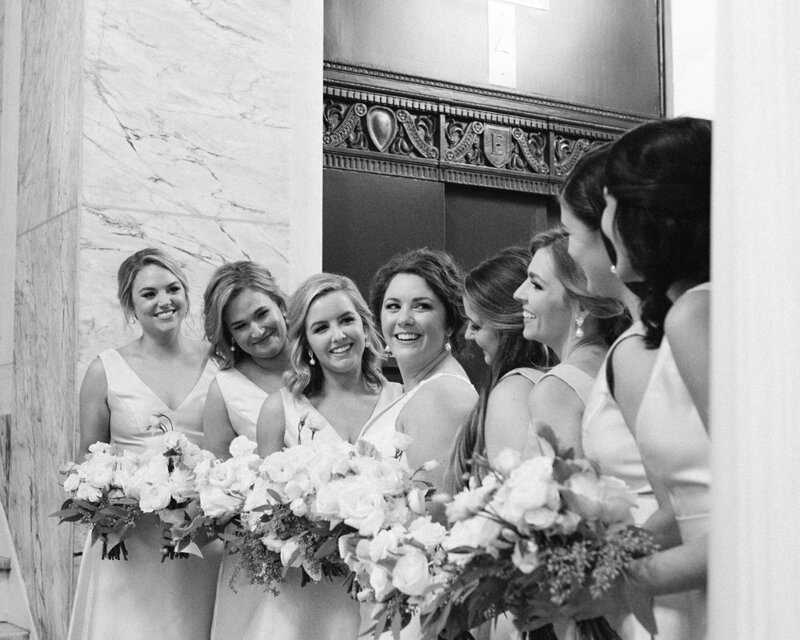 While Lauren and her bridal party got ready at the Elyton Hotel vendors worked tirelessly to get Iron City, her ceremony venue, prepped to perfection with the most beautiful flowers and drapery! How sweet are they? 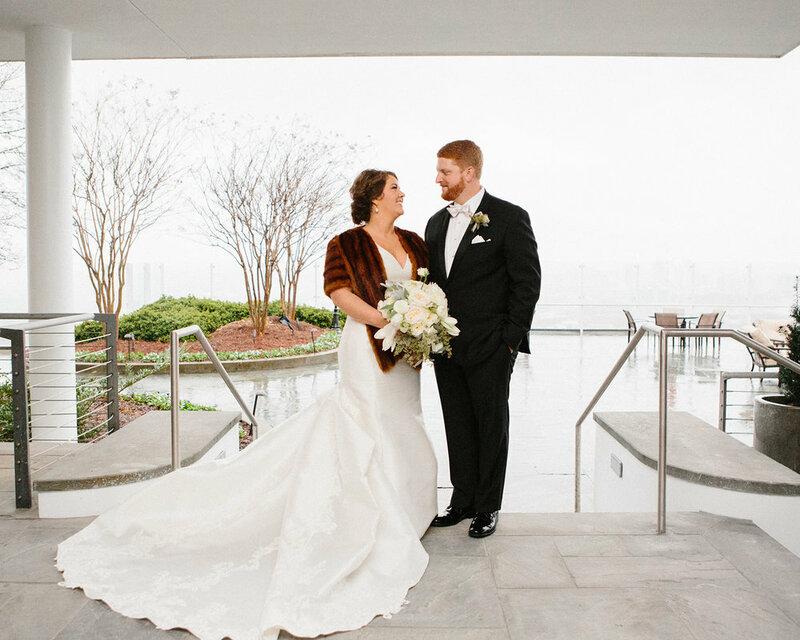 The happy couple took photos at The Club while the rain came down, which made for such romantic photos. 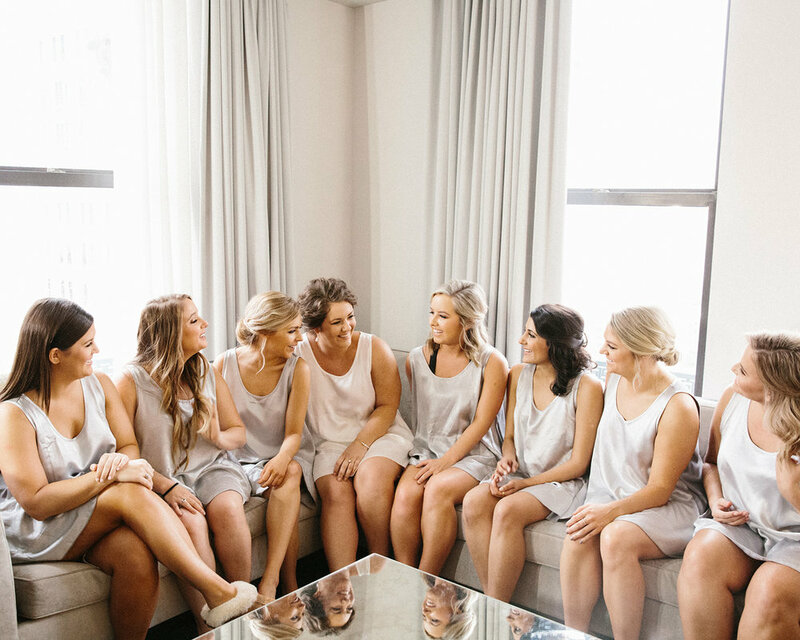 Her sweet friends getting ready at the Elyton Hotel in Birmingham AL. Even though the rain was blowing outside, Lauren and her crew were troopers and had the best time getting ready together. And they are Man and Wife! Iron City was a perfect venue to swap for a reception. While the guests enjoyed cocktail hour, the venue was turned into a dance floor and dinner was served! The flowers that were at the ceremony were put on the dinner tables and chairs were brought back in. It was so special! Their getaway car was beautiful outside of Iron City! 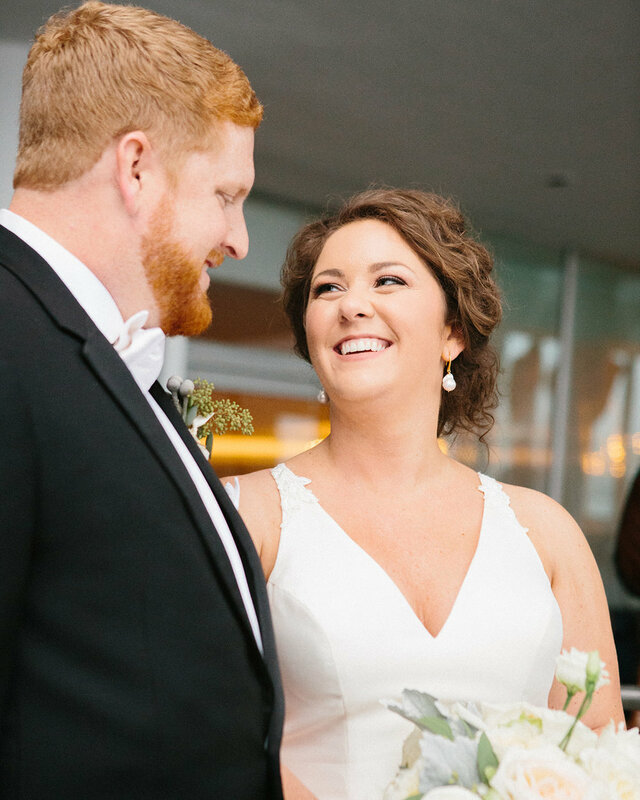 Lauren and Matt were so fun, and their guests loved the glow-up necklaces. 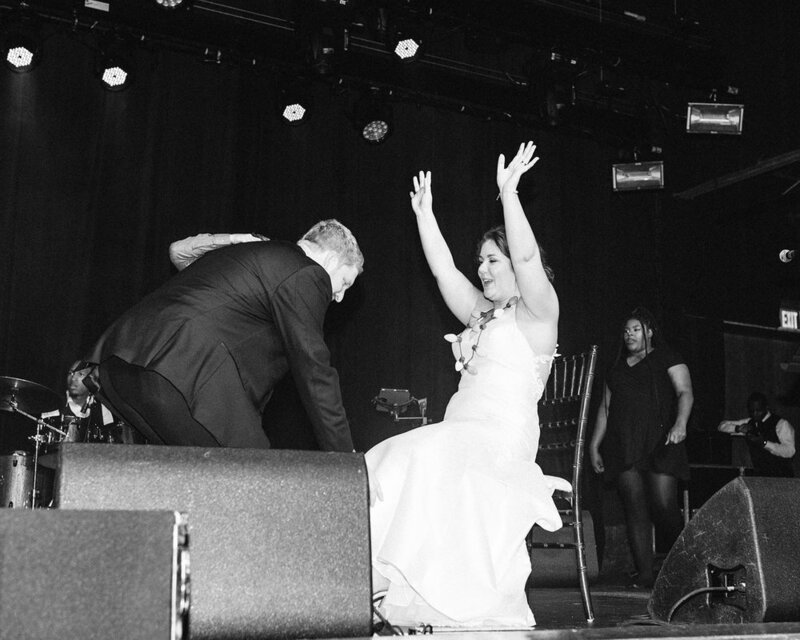 They had a late night grilled cheese served to keep their guests out on the dance floor! 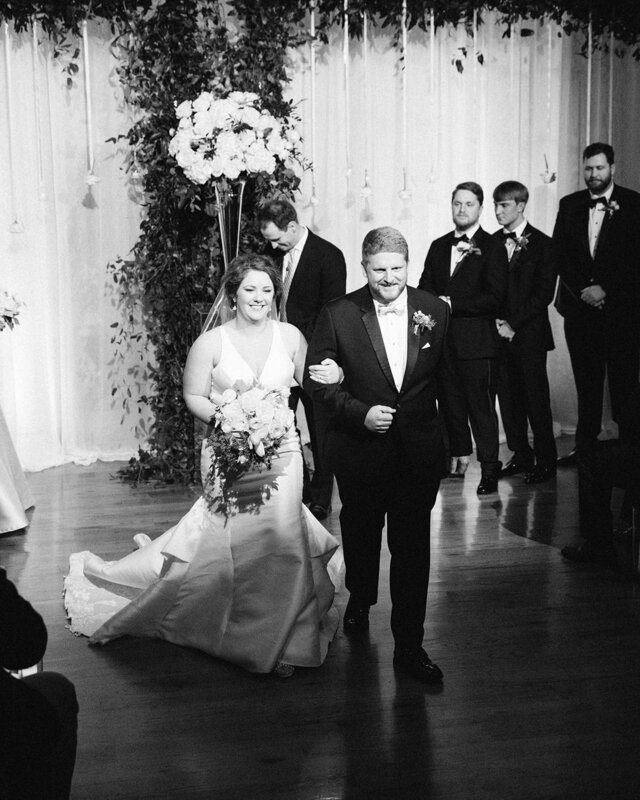 We had a BLAST planning this wedding! Cheers to Lauren and Matt!